This is great news and honestly now I just want to book my flights and go. I wrote a post about the new regulations for Umrah visa 2016 after I received several emails from people asking me about the visa changes. Now it’s good news as you can still book your DIY Umrah and save some cash. The bad news is that this needs to be with non-refundable hotels and flights. There are several reasons why the Ministry decided to accept only non-refundable hotels and it concerns people who want cheap options and cheat the system. I understand when someone can’t afford to sleep in a hotel and wants to stay in masjid Al-Haram but this essentially causes problems for others. In this occasion making stricter rules when it comes to normal people who would like some flexibility when booking, in case their visas don’t get issued on time. I have been told that you will have to always have your flights and hotels pre-booked before applying for your visa. You can still book with third website parties such as Booking.com, Agoda.com Expedia.com etc. but the hotels need to be non-refundable. One way to overcome this will be booking on loyalty programs I assume. Every Umrah I have done has been on miles & points which saves me a ton of cash yet I’m steps away from the Haram. The points for hotels are flexible which means you can cancel them, however there is less likelihood they will reject your visa on this. Shows commitments since you do have points to use with the brand. Overall it is not as bad as they made it sound at the beginning. I would be very upset if the Ministry decided to permit bookings only via hotels and not third parties. Because this ultimately leaves the visitors vulnerable to monopolies and price increases. I understand the Ministry wants to secure a fair option for the hotels and an easy way to manage millions of people coming to Makkah. So essentially this can be a god thing as well. Some hotels with the best loyalty programs are Hilton, Hyatt, Intercontinental, SPG and Marriott. If you want to find out more about how to save cash with some of these hotels here. There is also a new system from the Saudi government called “Sijjil” which is suppose to save you 10%-15% on hotel bookings, I cannot find it online other than articles about it so if you have any info please do message me. Hi, Thanks for the info again, however, our travel agent told us that even non-refundable hotels are not enough for the the visa application. Only authorised hotel on the list of hotels provided to the agent is supposed to be booked. any other hotel from online websites are not accepted. Hi, just wondering if your have had any further info on the Sijjil program? I haven’t heard anything yet. I know agents use it but I don’t seem to be able to find a regular option. 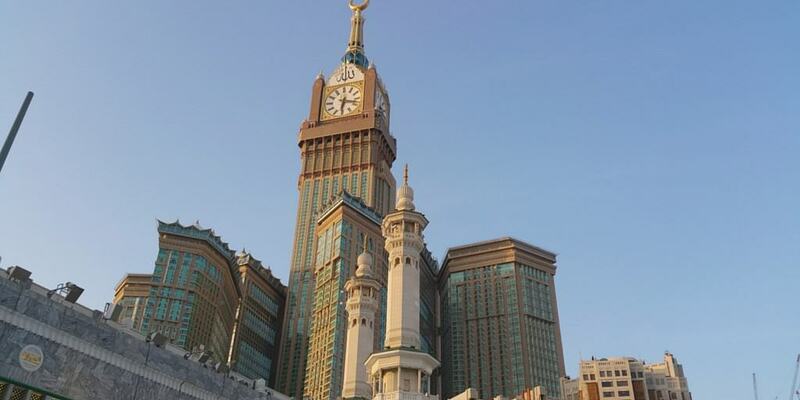 How much do the umrah visa only cost? Knowing very little about this, my husband and I wanted to go for Umrah in October. I’m now seeing that this is before the “season” and doesn’t look possible no matter how much we’d like to (unless I’m wrong). If October is off the table for Umrah travelers, is November a possibility? We can’t do December because of family coming to visit. Any advice you could give would be helpful. There is no set date yet for when the Umrah will open after Ramadan, so I cannot give you dates. Last year it opened at the end of November. Usually the agents know (and tell me) few weeks in advance. Plan for Mid Jan 2017 DIY umrah. Help me update on Visa application. Is ist available.? Great work and fantastic advice. I am going on Umrah for the last 10 nights of Ramadan and have family who I am hoping to stay with in Makkah. Would this be a problem when I land in Jeddah as I have been told by an agent they can get me the visa without the accommodation booking? As far as I know this is against the rules. Unless you have an Umrah and family visa. If you agent says he can then it is his problem in a way if he gets caught. 2) I came to know that there will be High Visa charges or fees imposed by the saudi government? Thank you so much for your invaluable information. I am hoping to go this December inshAllah! I want to go for umrah with my family in early November 16 plz do confirmed me either visa opens or not for Pakistani people’s. Visa opens start of November. Is it true that from this month visa fee have increase for those who already been to umrah last year ? Yes unfortunately, but we still don’t know the details and how much and terms.